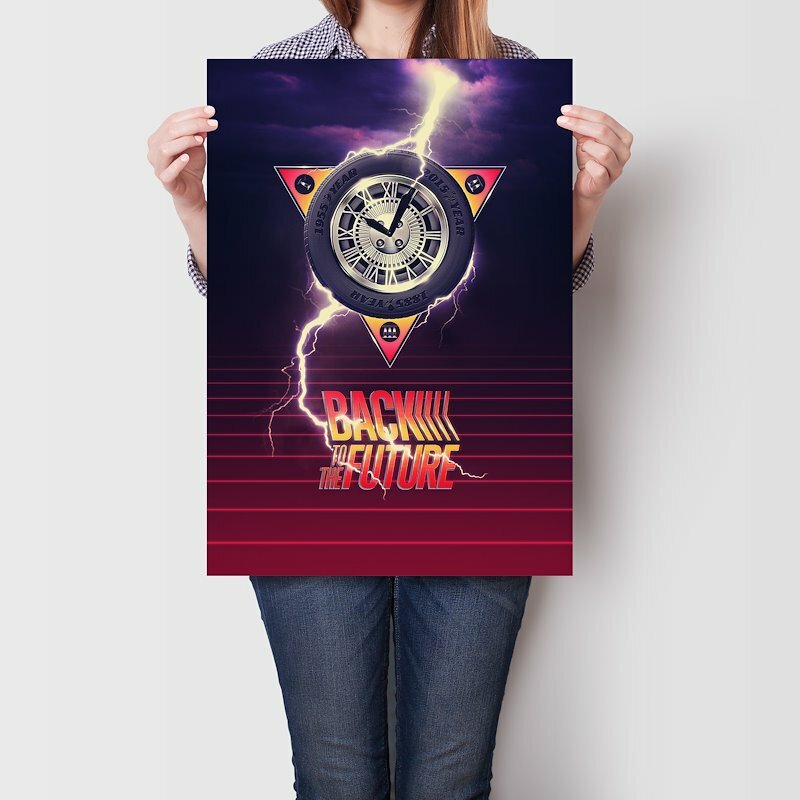 Alternative “Back To The Future” design. 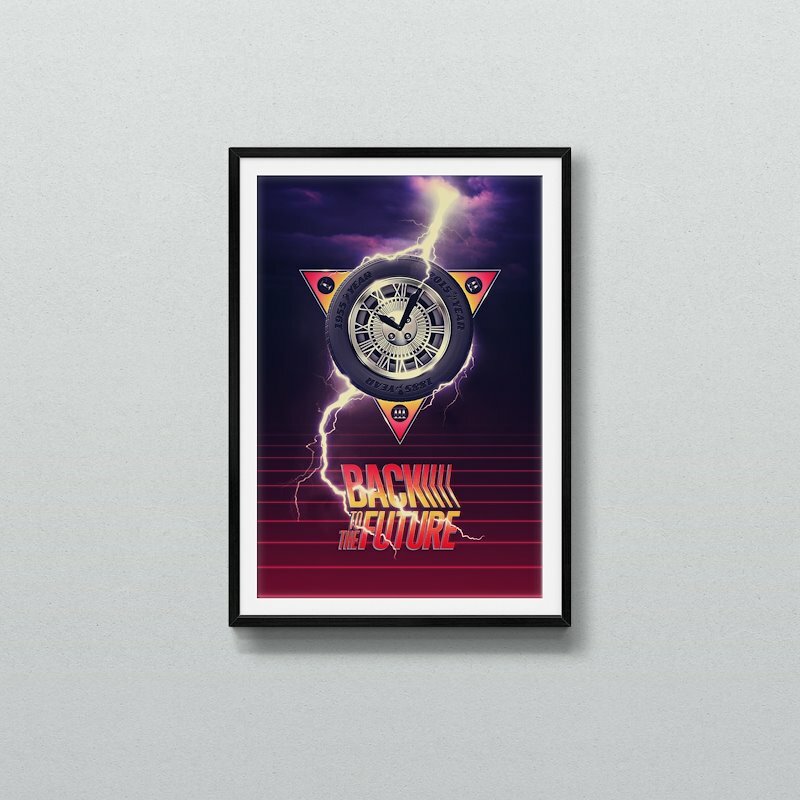 Back To The Future trilogy in a wheel. What do you see? 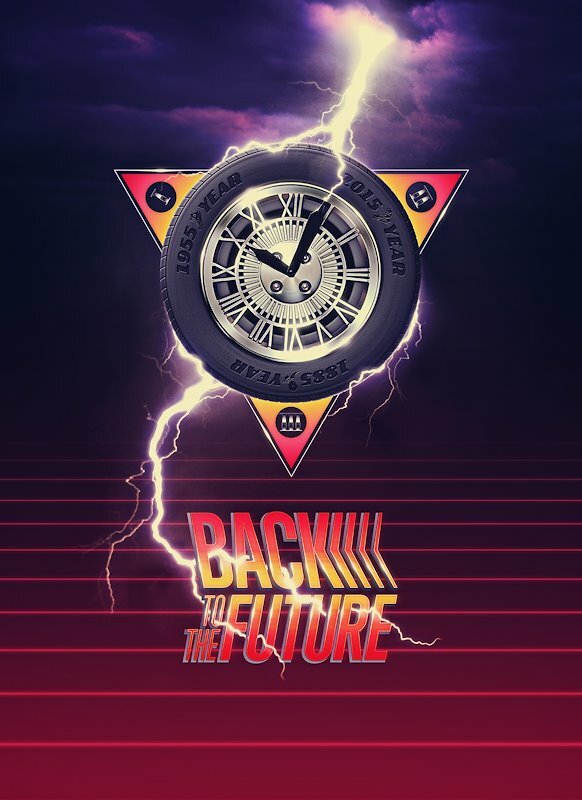 The Delorean tire? The clock tower? 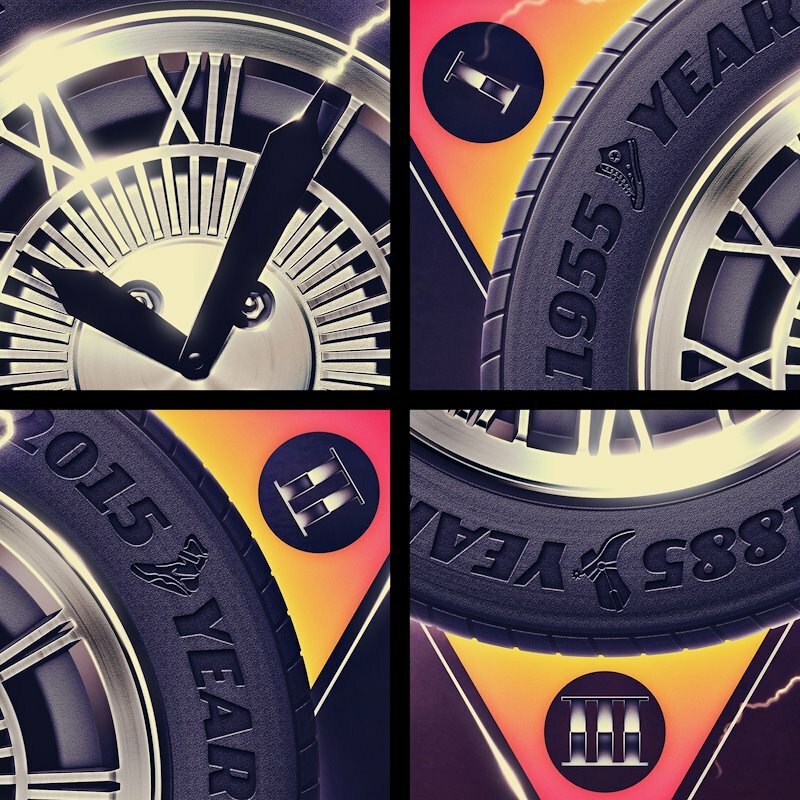 Look again, look at the XXXX/YEAR logos on the tire. What do you see? Yes, the footwear McFly used on the films.